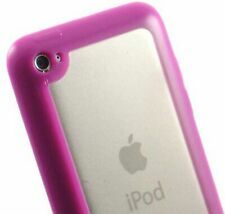 The Apple iPod touch 6th Generation is a digital player that allows its users to store various media content on the 32 GB built-in memory module. This media device also features such as Accelerometer, Three-axis gyro, Touch Screen, Built-In Digital Camera, Calendar, Digital Camera, Address Book, FM Radio, FaceTime, Games, Integrated Speakers, Personal Address Book, Photo Viewer. In addition, the model is available in gold with the following characteristics: 12.34 cm height, 0.61 cm depth, 87.88 gm weight. 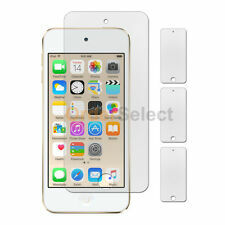 Apple iPod Touch 6th Generation IOS 16gb Silver. I really like the small, streamlined pocket size of the device. Great sound for music. An easy tool to take pictures, facetime, send text messages to my kids, leave instagram messages and store music. Much better than my older 4th Generation iPod Touch that I was using for the past 3+ years. Gold color is sharp looking, better than the plain silver color of the 4th gen iPod touch. Device is working as expected so far... Been using it since 12/12/2015. Time will tell how long the Apple battery will last ..! My iPod Touch Gen 4 battery is dying only 25 minutes after fully recharged.! DIY replacing the iPod Touch battery is NOT an option for the average user. Great product. Good sound quality. User friendly, very intuitive. The battery lasts a very long time and it charges back up quickly too. I would definitely recommend this to anyone. I've been a lifelong non-Apple user for my music and entertainment needs. I got enticed after using an older used version of this and was impressed by the connectivity to various mediums (cars, Bluetooth, etc. ), the ease of use and the speed of the applications. Really love this and it has swayed me to reconsider my Android vs. Apple perceptions. Nice iPod. Works great. Sound is not as good as older iPod but it’s fine. Like that the you can take with you if you walk.